For anyone that has taken a trip to Orlando Florida regardless of whether it was to visit the Magic Kingdom, or any other non-magical place (Just kidding) when you come back to the Orland Airport you have probably spent some time in the numerous gift shops available in the terminals. I know I always visit the Universal Studios store, the SeaWorld store, the Kennedy Space Center store and of course the Disney Earport store. Usually by the time we are at the airport our bags are already stuffed with additional gifts and souvenirs but that doesn’t stop us from checking out the store just in case we missed something. Also for those of you that may not know most of these stores also have pressed penny machines. Unfortunately in my experience these machines don’t get updated very often. 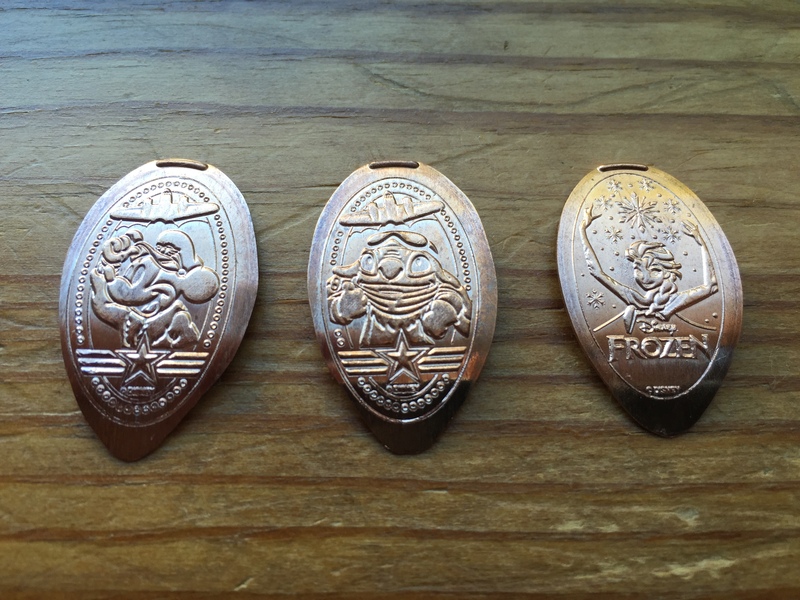 I checked each of the stores in April when we had our big trip to Disney World and they were the same designs I had pressed some 4-5 years prior. That was until just this past week. 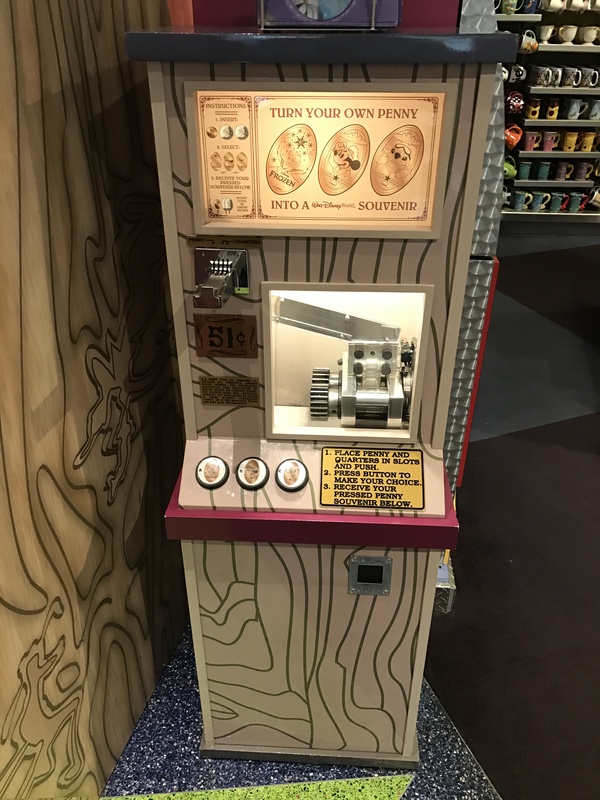 I read a post online that the Disney Earport store had finally added a machine. It took me a few days of trying to get some contacts around Orlando to make a trip to the airport but unfortunately that didn’t work out. So I went to my next resource which is eBay and found that one of my favorite sellers had some sets available for purchase so I quickly ordered a set and a few days later they arrived. The machine has 3 designs which include: Pilot Mickey, Pilot Stitch and Elsa from Frozen. The Elsa design is the same one available in Hollywood Studios at the In Character Shop and kind of seems out of place in this set but who am I to complain. 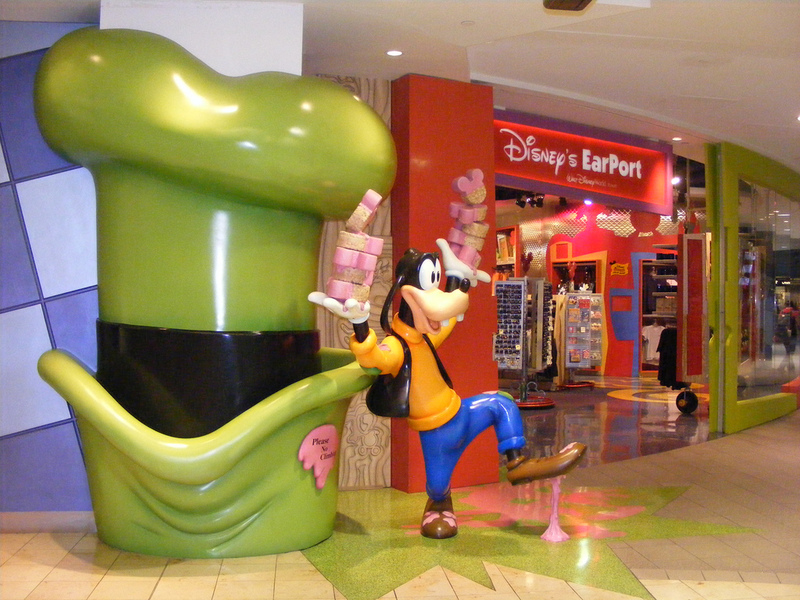 So if you’re experiencing a layover or have some time to kill before you flight leaves Orlando International Airport be sure to check out not just the Disney Earport store but the other shops as well for some last-minute pressed pennies. It will help elevate the sting of knowing your vacation has come to an end, or least that’s what I try to tell myself. I’ll let you know if it ever starts working.